Rochester, N.Y., November 3, 2015 - The George Eastman Museum has recently acquired the world&apos;s largest collection of contemporary Indian cinema held by a museum or film archive. The collection consists of 775 prints representing 597 film titles, all in 35mm format, made between 1999 and 2013. In addition, about 6,000 film posters were acquired as part of the collection. This exceptional donation represents not only films from the Hindi-language film industry commonly known as "Bollywood," but also Malayalam, Punjabi, Tamil, and Telugu productions. The languages represented in these films include Assamese, Bengali, Gujarati, Hindi, Kannada, Malayalam, Marathi, Punjabi, Tamil, Telugu, and Urdu. Many titles are from acclaimed masters of Indian cinema, such as Mani Ratnam, Ashutosh Gowariker, Anurag Kashyap, Nagesh Kukunoor, and Sanjay Leela Bhansali. 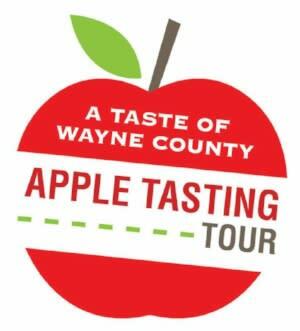 Greene County, N.Y. (Sept. 28, 2015) - October in Greene County offers an almost dizzying array of festivals celebrating both Bavarian and Irish traditions, apple harvests, and Halloween revelry. Bronck Museum&apos;s Heritage Craft Fair on October 4 offers a chance to slip through time at the site of the oldest house in New York, built in 1663. 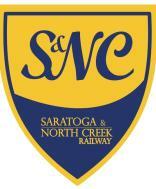 Adirondack Region, N.Y. - The Saratoga North Creek Railway offers whimsy and delight aboard scenic train rides this summer and fall, including an Oktoberfest-inspired fall extravaganza and plenty of beautiful scenery to ooh and aaah at from the sumptuous comfort of a train. Greene County, N.Y. - Known as the "shoulder season" in the travel business, the weeks leading up to Thanksgiving and Christmas represent a time of discount lodging packages and affordable adventurous escapes in the Great Northern Catskills of Greene County. Right now, you can book a Catskills getaway that includes special extras such as nightly Irish music, farm-fresh breakfasts or complimentary pick-up from the Amtrak train station, in addition to receiving great rates on your visit.